Noda Contact Center Lite - Customizable enterprise-level contact center product now available via pay per use model. 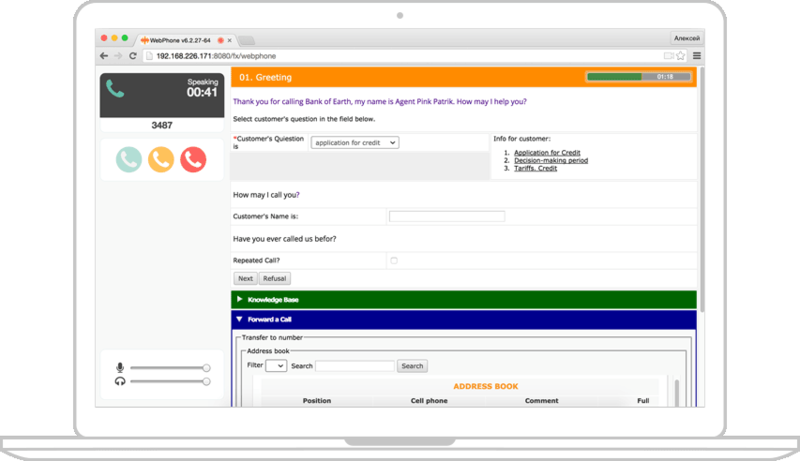 Customizable enterprise-level contact center product now available via pay per use model. Noda Contact Center is listed in Gartner’s Magic Quadrant for Contact Center Infrastructure, Worldwide. Call and queue prioritization, support for all modes: progressive, predictive, and preview. A drag-and-drop graphic designer that makes setting up conversation scripts easy. Full or selective recording of all conversations, compatible with PCI DSS. A single queue for all channels: Facebook, Viber, email, SMS, voice, chat, Telegram, and more. Programmable standards used to process contacts along different criteria, complete with call ratings. Our own program-based IP PBX and softswitch, skill-based routing and distribution, load balancing and hot backup. Support for four forecasting methods: whole week, planned week, trend construction, and confidence intervals (VaR), with a special mobile app also available. 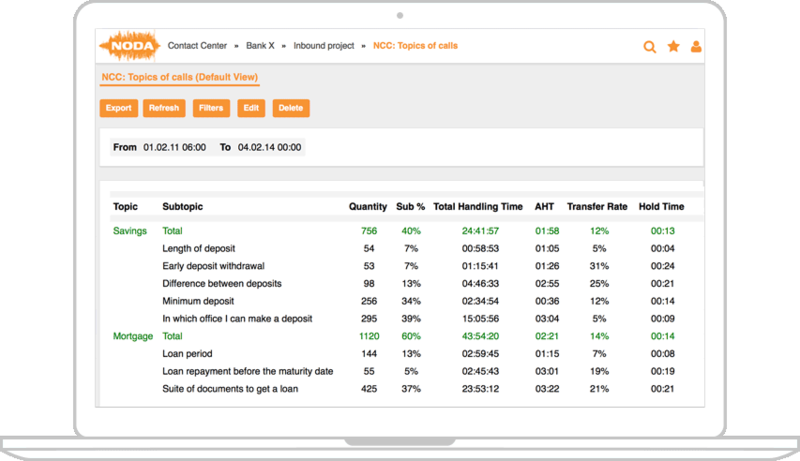 Combined statistics from conversation scripts and telephony, 50+ built-in reports available out of the box, online statistics. Jump aboard media’s most prominent business trend to empower your internal advertising teams. “”We appreciate the solution’s fast roll-out time, the dynamic growth opportunities it unlocks, and its market-leading position. “”Noda Contact Center takes care of the technical problems, leaving us fully focused on running our business. “”Implementing Noda Contact Center dropped our operational expenses by 70%. 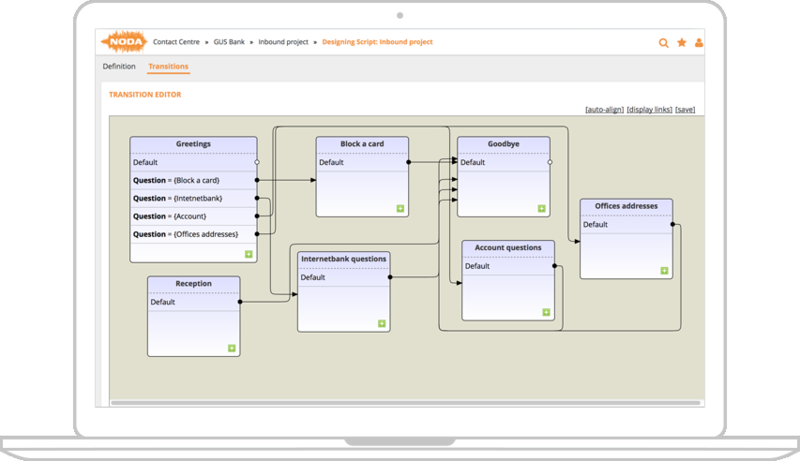 We no longer have to bring in IT outsourcers to prep and release projects. “”There were no tech-related growing pains when we scaled up from 24 to 600 operators. The platform is just about on par with open-source solutions as far as flexibility goes, and quickly integrates with any other system you could need. “”We leveraged Noda Contact Center to streamline the expenses entailed in handling user calls. About 20% of incoming contacts are now processed automatically using the IVR service. Once you’ve filled out this form, we’ll contact you directly to offer test access to the solution. If you’d prefer a more immediate response, feel free to call us at +49 30 513 02118 (Europe). © 2017 Noda Interaction Platforms. All rights reserved.